I watched the film The Big Short again cos it was showing in the hotel room. And I felt all depressed all over again. And I wonder why I get depressed... So I thought more about it. And I came down to a couple of points. It's a complicated network of issues and a lack of responsibility of a lot of people. And it boils down to capitalism and specialization of skills and knowledge, and a lot of conflicts of interest in between. Most normal people just want to live their lives. So let's say the average person wants to do his own work, earn a lot of money, and live well and usually want to live in luxury. They want to do their own thing and not bother about other things which they aren't specialized in. Then the mortgage specialist, wants to earn money, he has a boss to report to, he needs to dish out loans else someone else will make better sales than him. So he just grants the loans. He's just "doing his job". He's incentivized to grant loans to anyone, regardless of their credit abilities. Is there a conflict of interest here? Of course there is. Banks want these risky assets off their balance sheets. So they repackage the loans into investable assets and sell them to unknowing investors. The banker is "just doing his job" he repackages the individual loans into sellable assets so that he can sell another product to investors. It's lucrative for him to pack "low risk" assets with good returns and they sell well. So he gets good bonuses. Is there a conflict of interest? Yes there is. The bank takes on little risk by giving out loans, cos they can repackage the loans and sell them away. So it makes sense for them to give out as much loans and repackage them to sell, so they earn from both giving out the loan and selling the loan as an investment. The banks want the assets to sell well so they approach rating agencies S&P or Moody's to give a good rating. The rating agencies know if they don't give a good rating, the bank will just approach the competitor who will be willing to give the good rating. The rating agencies are supposed to be independent so that investors can have some form of "expertise" rate the assets for them. But... Conflict of interest again, cos the rating agencies are profit driven so they will be incentivized to take the business and just give a good rating. The worker at the rating agency "is just doing his job". The investor, "the 2nd customer", buys the asset. Low risk high return assets. Could be an institutional investor or retail... In the end, most of them rely on rating agencies to give them some indication of the risk of the asset. Fund houses buy the assets, well... Even if they lose money, they will still get their management fees. It makes sense to buy low risk high return assets. Then we repeat the whole process with CDS/STS and synthetics. Which is essentially "insurance" on the above products. But since it's the banks which are creating the product, then the banks can essentially price them at whatever price they want. Not to mention creating synthetic swaps, meaning customers can buy insurance on something that doesn't exist. Cos once again, conflicts of interest, banks are profit driven. Bankers want their fat bonuses. Don't be too judgmental. If you were a banker, you'd probably have done the same thing. And... The thing about most parts of life and capitalism, is that due to specialization, this issue above manifests in many places. Most people are so specialized that they don't know a lot about other topics. In the show, Michael Burry wrote in his final letter to investors. "...People want an authority to tell them how to value things, but they choose this authority not based on facts or results. They choose it because it feels authoritative and familiar..."
Financial advisers and insurance/financial planning. There's a lot of conflicts of interest in the market. Most people don't know how to plan or what to buy, so the financial planner who is supposed to represent the client, is incentivized to just sell as much as the client can accept. The customer just doesn't know better. Customers don't know how long they are able to keep preserved foods for. They don't know about expiry dates and what they mean/represent. They look towards the manufacturer to determine what's a reasonable date before the product is deemed unsuitable for consumption. As a manufacturer, they are incentivized to set the expiry date really short so that customers will quickly consume the food and buy again, or dispose and buy again. Once again conflicts of interest. I wrote about that before too. How about doctors or medical specialists? Most people aren't too well versed in medical issues so they trust the doctor to do "what's best for them". But a medical specialist may recommend surgery for the smallest of issues, cos that's where the money lies. Exercise, weight loss and healthy eating? There are many products and specialists who try to sell the promise of weight loss, cos most people don't understand weight loss well. In reality, it's a simple method. Eat less, exercise more. You can even eat charkwayteow, but eat half plate la. But no, people may buy into gimmicks or some special products or feel they have to make a radical life change. Some people don't believe it can be so easy. They think they must "suffer" else they can't lose weight. Or they hope that there is some easier way to lose weight. But yet, weight loss is very simple. But if they told you that, there isn't any money to be made. Read about a professor who lost weight eating junk food. I'm not saying to follow the dieting method. I'm saying it's possible to lose weight without any special product and that you can eat normal food but in moderation. Generally, all that's needed is to eat less. So once again, conflicts of interest. Weight loss specialists usually want to sell something. And conflicts of interest manifests everywhere. 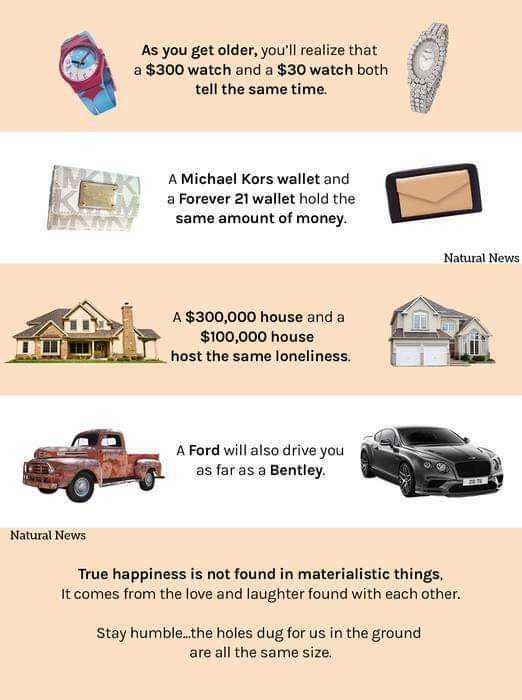 And usually, we don't need anything more to make our lives happier, but marketers want us to believe that we have something missing in our lives so they try to "fix" our unhappiness by offering us more products. But... Are these "experts" really helping you? Or are they helping themselves? Or maybe they themselves are clueless and part of this ridiculous system? They're just... "Doing their job" right? Did you like this post? If so, could you "blanjah" me 1/4 cup of my morning coffee pls. You may also consider subscribing to receive the articles in your email, link in the column on the right. It's actually quite common for me to get comments about how lucky I am to go to Paris with my wife. Maybe if it was the same me 5 years back, I might have thought the same. But now... I think differently. When I talk about travel, or getting in a plane, what memories or experiences are triggered? For many people, they think of their holidays, having fun, going to enjoy themselves, sightseeing. Based on their past experience, most people get on a plane and travel to another country for leisure. So when I talk about my upcoming move to France, most people relate it to their own travelling experiences. Shopping, romance, croissants, spending money, enjoying themselves. Some people have company trips, incentive trips, etc. Those are also for leisure. When I was working, I did have a couple of business trips. However, not many people travel for business/work almost once a month. Not many people get posted overseas. I'm sure that there are many people who have worked overseas before. I'm sure you know a friend who has worked overseas before. But generally, most Singaporeans don't travel much for their work, or don't get posted overseas. So, it's pretty understandable that they relate travel as leisure. Cos that's the only experience they have when they think about getting on a plane. Now... Do you think staying in Singapore is leisure? Cos that's what I'm going to be doing. I'm going to be staying in a country for 2 years. That's going to be my new "home". I've been to Paris 4 times in 13 months. The novelty of travelling there is gone. I'll probably not be sight seeing when I'm there, or maybe minimally. It's not a holiday. Similarly... I would ask... Have you(they) travelled the whole of SEA region? Philippines, the many islands of Indonesia, the many states of Malaysia, Thailand, Vietnam? How often do you get to travel per year? Cos it's the same... Just cos I'm in France, doesn't mean that I'll have the budget and time to travel all around the region. As I said. It's not a holiday. It's a business posting. And yes, I do have to try to make the most of it. Anyway, today's rant isn't only about my trip and the comments I get. It made me realize/understand that... People judge things based on their own past experience of the topic, although it may not be accurate. Cos they will try to find the closest personal experience that matches the topic to try to relate. And I think this manifests in many ways. Example, if we know a friend who's facing some troubles, we may just tell them to move on or forget it. Cos based on our own experience, that's how we handled our past issues. But not everyone's brain is wired similarly. It may not be so easy for someone else to let go of something and move on. Cos based on our past experience, we may think such topics are easy, but it may not be easy for someone else. I mean... I think I've lived a life really way different from the average Singaporean. So I think it's going to be tough for many people to understand my situation. "You(I) should be grateful that I get to go to Paris to stay. Other people want also don't have"
As much as I feel... "Wahlaueh, other people want is their problem. Doesn't mean it's what I want lor..."
I just keep quiet and smile and nod at them... Cos... They'll probably never understand. I'm sure we've all heard people talking about saving the planet. And really... That's just rubbish. The Earth isn't sick. It's not dying. It's been around for billions of years. There was probably no life on Earth when it first started. And it was doing fine as a planet just floating around in space. And it's still a planet floating around in space, now, but now there's life on it. HOWEVER... What we can do... Is to make the planet uninhabitable for humans. Humans... Cos there will be a lot of animals and insects that will survive after Earth becomes inhabitable for humans. But no... They aren't saving the planet. Cos the planet isn't sick, it's not dying. It will probably still exist long after humans are gone. And it will regrow and flourish. Humans have destroyed the homes of thousands of animals. The Earth itself has destroyed and made extinct millions of animals. It's the circle of life and evolution. Only man thinks they are great enough to "protect" these animals for "future generations". The idea that... Something only has value only when someone has put value on it. (You know, like diamonds) And in this context... Man has made the idea of protecting endangered species "valuable". And man has destroyed the habitat of thousands of species and also... Man is also destroying his own habitat. And like all species, we will try to adapt and change and save ourselves. So make no mistake... All those folks trying to save our planet... Are really trying to save our own home. And many people don't care. They don't realize that it's their kids or grand kids that's gonna suffer and face the consequences. Now, of course, I'm not saying. Let's just don't care and let our habitat, the Earth, become inhabitable. I'm just trying to put things into context. 1. We aren't saving the planet. We are trying to protect our home. 2. Endangered animals are worth saving cos humans feel they are worth saving. Noone else really bothers. 3. No one likes change. So they try to preserve the status quo. Why we shouldn't save the planet? Cos the planet doesn't need saving. What if you only had 2 months to live? And I start to get a little sense about what it means to leave things behind. Just a little. I mean... at least I still can come back after 2 years. Death is a lot more permanent. But it got me thinking. I have around 2 months left before I leave a lot of my current life behind. And I ask myself. How would I want to spend this 2 months. What would I want to do? How can I consolidate 2 years worth of missed experiences with friends and family within 2 months? And I think these are precious moments. Cos... I don't know when I'll see some of them again, I won't see my nephews grow up, which is sad cos there's so much development cos they are so young. So I've been going out more, spending more time on things that I enjoy doing. I go out late as well, which is tiring, usually I don't like to go out late, but I'm thinking, I can always rest when I'm in France, or when I'm in KL, cos I'm going KL soon again even before I go France. And... I realize, what I'll miss most is the people. The connections I've made, and the times we spend together. It's not about the money, or expensive food, or items. It's just the time spent with friends and family, eating, chatting, simple stuff like that. It's not the expensive dinners or gifts. That's just not the stuff I'll miss. Why do people keep chasing so much material wealth? Why do people wait til the last minute before they think about spending more time doing the stuff they like and spending time with the people that they love? Why do parents spend so much time working and miss out on watching their children grow up? There are a lot of people who have enough financially, but yet they feel they don't have enough and justify their continuous working by saying "I'm working FOR the kids, to give them a GOOD life...". Now, of course, I'm not saying don't work... I'm saying... keep a good balance. Life isn't about work. Money is necessary... but in the end... what matters is the time spent with people and the connections and experiences that you have shared with them. So I've been saying there may be some changes in my life couple of posts back. Well, thing is, we're moving to France for a couple of years. Or is the package good? Or what are you going to do with the house. You see, it's very normal for people to get excited about this. But... different people different interests. Personally, I'm not liking this move. We have our network of friends and family. Life is pretty much... nice and settled down and we are fairly happy. Going to France, yes, we will have more money. However, we will be spending more too. I don't have a network of free stuff waiting for me over there. We don't have any friends and family over there. There IS career growth for her. So that's a plus point. And the thing is a lot of people don't get it when I explain all this to them. I've come to a stage in my life where I/we are pretty contented to cruise along. There's enough finances to do what we want. A simple life and we have time to do other stuff and take things easy. We aren't the kinda people who keep wanting expensive stuff such that we'd want to disrupt our lives due to it. Else I've have just gone back to work. But it's something that needs to be done. My wife's career growth is pretty stuck in SG. So moving to France will give her more room to grow. And she's really happy with her work so as the unemployed/retired husband, I have to support it and move with her. If we only take into account our current lifestyle, it doesn't make sense for this move, cos it's not about the money. But it's a necessary step for her to keep pursuing her interest. So for me, I take it like doing NS. Go over for 2 years we start a new life/adventure for a bit. If we like it maybe we can continue. Who knows right? But if we can't get used to it, we come back and she gets her career growth and we come back and hopefully we can get our current lives back again. And of course the ironic thing is... it is precisely cos I am not working, that we are able to go on this "adventure". Cos IF I was working, then I would say, it's not worth it. Cos our joint income in SG would be more than if she went over with a package, but it would be a single income. It would not even be a consideration if I was still working. So yea... me being unemployed does provide us with a lot of other options and alternative lifestyles. Anyway... I'll probably be posting more after our move cos I'll be trying to find low cost way of living over there. Even though we are going on a package, doesn't mean we any-O-how spend just cos we are in another country. We aren't going on a holiday so it's going to be a prudent lifestyle in Paris similar to how I've lived in SG. OKAY! So I recently got my laptop fixed. As my regular readers know, I've been having laptop issues and that has also prevented me from posting more regularly. And finally, I actually went to get my laptop repaired. The thing was, I was actually very scared to go get my laptop repaired. My impression of SIM LIM was pretty much a cowboy town. So I was prepared to get myself totally conned and they would recommend me repairs that I didn't need and I wouldn't know better. I bought this laptop at around $800. It's a simple laptop cos I use it mainly for watching movies and just surfing the net so there's no fancy stuff. And I have already used it for 3 years or so. For my repairs, I hoped that I would be able to cheaply extend the life of the laptop for another 3 years plus and I would be probably happy with that. And I was always hesitant to take the trip down to SIM LIM, cos, what if they quoted me $300 for the repairs. It would be hardly worth it, or what if they recommended other repairs which I didn't need, but I also wouldn't know. So I mentally gave myself a budget of $200 and hoped for the best. So I told myself I needed to get my laptop fixed. Then I went online to research on some repair shops. OK so there was a repair shop which had quite a number of good reviews so I decided to go down to talk with them. I told them my issues, I had already did some research on my own on what could be the problem with my laptop. I likely needed to replace my hard disk. And they said, "ok minimum 3 hours. We will investigate and if it is a hard disk issue, we will change the hard disk for you. A 1 TB hard disk plus service fee will cost you $120." So I asked them... hey wait, I don't need a 1 TB hard disk. How much is a 500 GB hard disk? For many people, it's only $10, but this $10 is wasted on me. I would not need this extra storage space. It's the same as flushing $10 down the drain cos... I don't store enough things on my hard disk such that I would use more than 500 GB. So why bother to buy a 1 TB one? Few years later, I'll probably change my laptop so I might as well go for the cheapest repairs possible. Anyway, it was late afternoon so I had to pick up my wife, so I went to retrieve my laptop the next day. So far the laptop seems to be working well enough. 1) Sometimes, things aren't as hard or complicated or scary as it seems. I lived without a functioning laptop for a couple of months. All I needed was to make one day effort to go down and get it fixed. It's not THAT hard. Should probably have done it earlier. So I should have done some quick research earlier then made the effort to settle it and not live with such inconvenience for so long. It's like settling your insurance. Most people procrastinate and don't get it done. Or they are afraid to look at their finances or they are afraid the financial adviser will cheat them. It's probably the same. Just need to set aside some time to research then really get down to doing it. 2) Sometimes even though something has better value, it's still not worth buying. I think most people will feel an additional 500 GB for $10 is really cheap. But if I wasn't going to utilize it, then there's no real point in spending that additional $10. ​It's not like 1 chicken $5, 2 chicken $8... In this case, I can always keep the chicken for another day to eat. But a hard disk... I know I won't use it so... no point. We hear it so often right? People say they don't have enough time. And most people say they can't buy time. But the thing is... most of us are already "buying" time. You see, whenever you are buying convenience, you are by right, buying time. Lazy to cook? Too troublesome? Too messy? Buy dinner from downstairs? That's buying time. Cos when I prepare my meals, I take an hour or so plus another 30 minutes of cooking. But if you buy food, it's a snap of your fingers and dinner is ready. If you hire a domestic helper, isn't that similar? You are tired after work, you want more time to rest, but many people need to do chores. If you don't want to do chores, and you want more time to rest, then you can "buy" time to rest. By hiring a helper at home. Take a bus, train, car to work? All of them are different. If you take public transport, you may save some time. If you take a Grab or taxi, you may save even more time. If you own a car, maybe you can save the most time cos you won't need to wait for a vehicle to come pick you up, but you may need to find parking at the next location. Imagine 100 years ago when motor vehicles weren't available. People were riding horses. If you didn't own a horse then you'd have to walk? Think that all these don't really mean "BUYING" time? You see, the thing is... I had this experience in Paris. Transport is pretty expensive. Not like in Singapore. I was trying to keep my budget low when I was travelling around and sightseeing. So I walked a lot. And I could see a lot of local sights. But I had difficulty reaching further places. I would have to walk 10km to reach the next attraction that I wanted to see. And this would take me a good half the day, and I had to walk back to the hotel after that. During the first few days in Paris, I walked around a lot, but I quickly learnt that I just didn't have the time to just keep using my legs to get to places. If I wanted to clear 4-5 attractions in a day, I needed more time if I wanted to walk, else, I would need to "buy" time by paying money. It's not possible to buy more than 90+ years of lifespan. Or you can't buy more than 24 hours a day. BUT, it's possible to buy more time to do more things within the 24 hours in a day. And the thing is, we take these conveniences for granted. Compared to a lot of our ancestors, most of us are already doing a lot of stuff that they couldn't do cos we just have more time than them. We can travel further and faster, communication is faster, we can work on the train, in the plane, etc. But yet, many people still seem to have not enough time. It's kinda similar to money. If you earn $2,000, and you spend all the money for living expenses. Then suddenly you find a cheaper alternative for groceries and now you spend $200 less. So by right you can save $200 for retirement. But instead you upgrade your lifestyle and buy premium meats, cos it's cheaper now, so in the end... still no savings. Then you take for granted the new premium meats and tell yourself that it's basic necessities. So... think about it, where has all your time gone? Are you spending time doing low value things? Is rest more important? Or exercise? Or watching TV? Or looking at your phone? Most of us have gotten so used to a certain lifestyle. Same like how we talk about spending money and our financial lifestyle. But there is also a time lifestyle. And I think we also need to recognize if we are wasting/squandering time, as important as we look at whether we are wasting or squandering money. Ok, I'm not really going to talk much about 28 Feb 2019 Expenses. I end up saying usually the same thing. I think we were getting a bit sloppy and just decided to go out to eat more than normal. What's more interesting is the below table where I tabulated my expenses for the past 12 months. I tried my best, but I could be careless, so I may have tabulated stuff incorrectly through the months, but I reckon generally it should be representative of my expenses for the past 12 mths. I split them into 3 categories. 1) Basic expenses. These are needs. So food, household expenses, transport, etc all go here. 2) Then come the Wants. Anything else comes here. 3) Next is my wife's work related expenses. These I put them separately cos they would likely disappear if she stops working. 4) Are the fixed expenses. Also needs but these expenses don't change every month. The last 2 columns are the total for 12 months and the average which is the total divided by 12. So right at the bottom right, I spent $43,994.78 in total, $18,154.06 are personal expenses, $25,840.72 are work related expenses. So if my wife retired, it's likely that our monthly expense would be around or slightly above $1,512.84. Which is the personal expenses divided by 12. Can't really say my expenses are super low. Cos I know I could bring them lower easily. Can't really say my personal expenses are super high. I think $1,512 per mth is pretty reasonable. I'm just about ending 10 days in KL. It's been a long trip and I've been spending quite a bit on food. There are a couple of days when we spent S$40 for dinner, which is considered a lot in Malaysian terms. As I spend more on food for these 10 days. I keep thinking to myself. Why do I save on $10-$20 for meals. When I can save so much more if I just don't follow my wife to Paris? That would straight-out save $1300 at least. It's like skimping on the small stuff but making poor decisions on the big stuff. Then after that, I continue to think. If I continue to work or take up part-time work, what's another few dollars here and there? The train of thought is neverending. Save a few cents at supermarkets vs save a few dollars at restaurants, vs save a few hundreds, vs save a few thousands. Then the thought becomes, why not just work a bit more and don't need to save so much. And I was having difficulty reconciling this, cos as I spent more on restaurants this trip, I thought to myself, I could easily have saved more than this by not doing one of my Paris trips. AND that would probably have saved even more. You see, there's no end to this. Everyone lives their lives differently. Some people want to eat more, travel more, buy stuff, etc. And there's really nothing wrong with that. Some people start out with $1 others start out with $1,000 in their bank. Some people earn $1,000 others earn $100,000. If you earn $100k, then even after flying a few trips to Paris the savings after expenses will still be more than the person who earns $1k. So how to reconcile? Cannot reconcile la!!! Everyone starts differently, lives differently, and ends differently. The best we can do, I think, is to live within our means, we save where we can, spend when we feel we need to spend. Cos there's no end if I keep questioning each and every one of my decisions. Of course saving more is better, but if I scrutinize my every spending, then I might as well save all my money and live homeless. Cos that's the cheapest way of living right? Live without a home, but have a lot of money in the bank, or I rent out my current home and I live on the streets. Then I only need my handphone and insurance coverage. And I can probably even find food, water and shower for free. Everyday live in a tent along east coast. But I don't think that's the kinda life anny of us wants to live. So as much as I'm an advocate to cut expenses and keep high savings rate, I think we all need some balance to live life the way we want to. Or to maintain a certain level of acceptable lifestyle. ​We're not trying to reduce expenses from $50 per month to $40 per month. We want to live well on maybe $400-$600 per month. Sometimes more, sometimes less, depending on situation. I apologise that I haven't been writing much. Life has been... Kinda just moving along and I now understand how people can get so caught up with things that they do daily that they forget about other stuff. I'm not sure if it's a good thing or a bad thing. Cos it's kinda like the wind blows and I just move along and I don't really ponder about things as much as I used to. And interestingly My15HWW seems to have taken a break from writing as well. It's like when I was working. I really wanted to get out. Then after I got out of work, I struggled a bit to get a sense of what to do and how to keep low expenses and maintain a good lifestyle. Then now that all that has been settled, I'm pretty contented with where I am and there's not much to talk about for the time being. And I'm hoping that the status quo doesn't change, cos I'm really glad to be in this Goldilocks situation. BUT... There may be some changes in the future so... Let's see what's going to happen next. Graduated with a degree majoring in Banking & Finance, Financial Adviser for a period of time resulting in in-depth knowledge of insurance products and marketing techniques of the industry. Inspired by MMM and ERE. Decided to embark on a mission to retire early in Singapore, a place where such an idea is considered impossible. As I believe that life has a lot more to offer instead of just a working career. I've decided to start a blog to note down my journey to achieve this mission and help others along the way who are willing to listen and try doing things differently from everyone else. I have decided to remain anonymous until I finally am able to actually retire, reason being that this idea might not gel well with the company which I am working for currently and also to avoid real life flaming from people who say that such ideas are impossible and that an individual is lazy for choosing early retirement instead of contributing to society in the form of labour.